The LPGA has announced an increase in prize money and change of date for the 2019 Evian Championship, set to move from September to July in 2019. The purse for the 2019 Evian Championship, the fifth major of the year, has been raised to $4.1 million, reaffirming it as the second-largest purse on Tour. Along with the purse increase, the LPGA also announced that, effective in 2019, the tournament will move to a mid-summer date, with the 2019 tournament being played July 25-28 at the picturesque Evian Resort Golf Club in Evian-les-Bains, France. 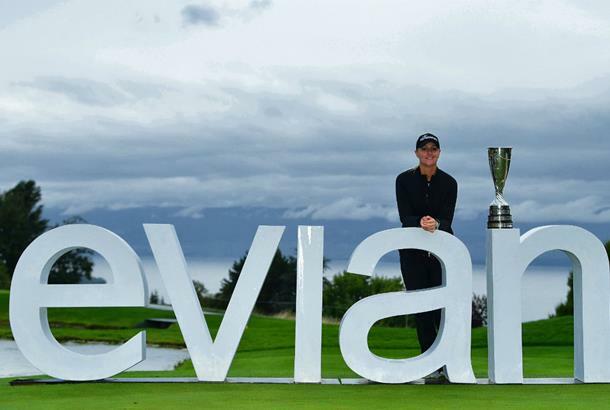 "Since its inception as a women’s golf event, Evian has pushed the boundaries for building a golf tournament that is simply like no other,” said LPGA Commissioner Michael Whan. The LPGA's fifth major championship has been reduced to 54-holes twice in the last five years in it's current September date, and the scheduled change is welcomed by 2017 champion Anna Nordqvist. “This schedule change reflects our commitment to, time and again, give priority to sporting performance at our major and sharing a unique experience with all of our audiences,” Franck Riboud, Chairman of The Evian Championship commented.